Mushrooms. 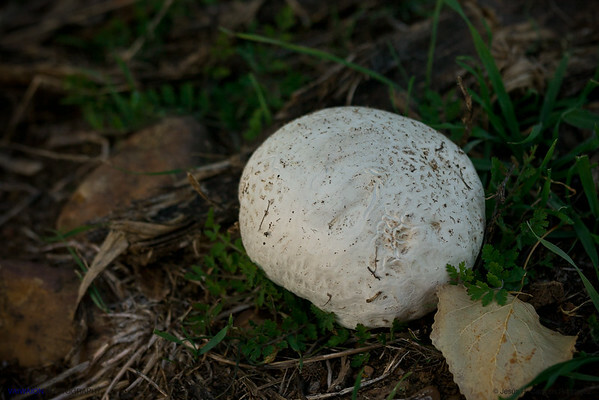 It is not one of my photographic specialties, but tell me about only one nature photographer who does not like to portray a striking mushroom when he / she see it in the field. 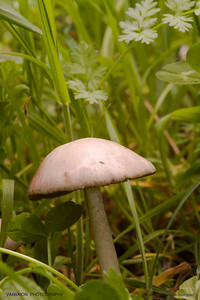 Here is a small collection of some of the few photographs of fungi I have done over the years. 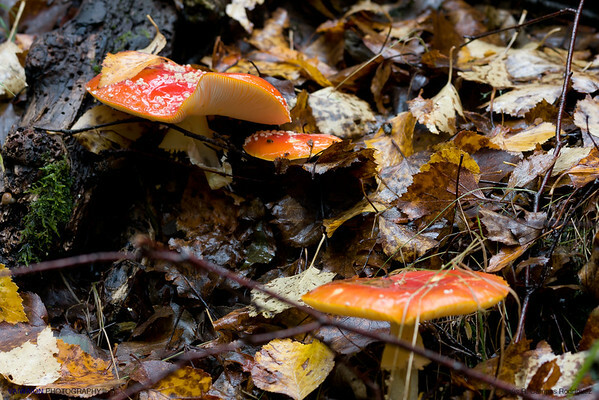 For those who live in southern Europe, mushrooms remind us the autumn season, but fungi grow all year round throughout the world. 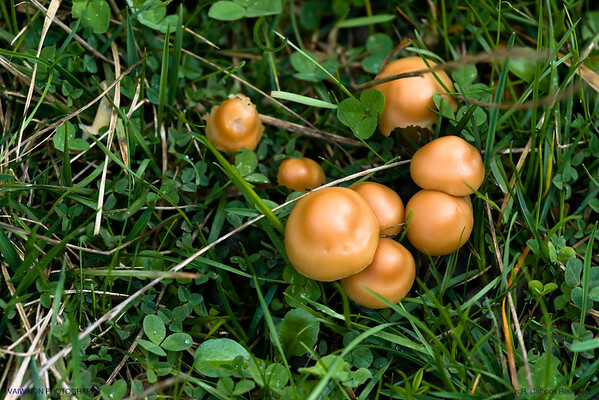 And some are very spectacular, due to their forms and dimensions, although I have not actively sought them and in my collection there are only common mushrooms I encountered along my travels. 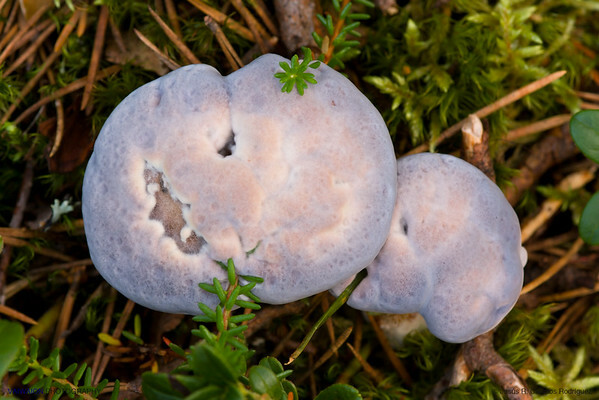 As I don't know a lot about mycology, some of the specimens that appear in these photos are not identified, but attracted me as photographic motif at the time I found them (I'll be very grateful for any little help on this). 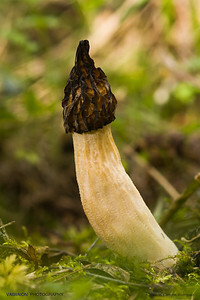 Morel mushrooms are common and funny. 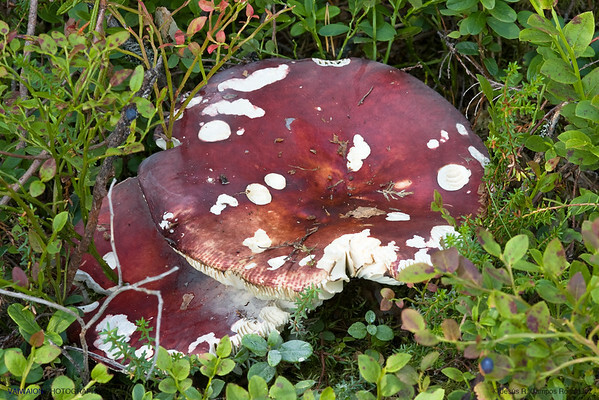 They are edible, and highly prized by gourmets worldwide. 'Cañon del Río Dulce' (Sweet River Canyon). Province of Guadalajara, Spain. Pearl Mushroom. Province of Guadalajara, Spain. Beef Liver. That is the common name in Spanish for the species Fistulina hepatica. 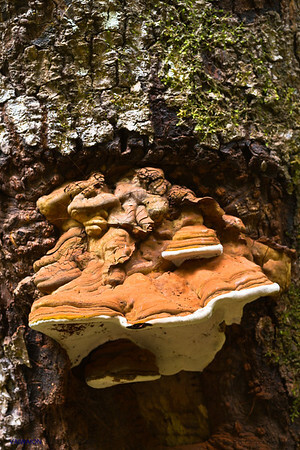 It grows on the trunks of trees, and a lot. This specimen weighed more than two kilos. I found it in a tree during one of my walks across the PRSE of Madrid. I got back just two days later, to take a photo, and someone had torn it off and it dropped to some low branches. Or maybe it fell by itself due to its weight?. 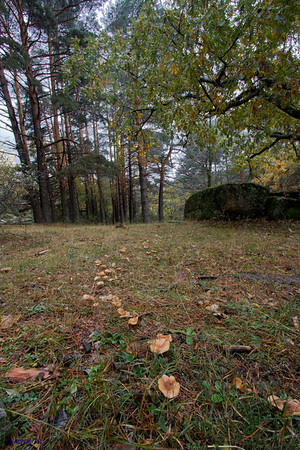 There are some varieties of mushrooms in the PRSE of Madrid. 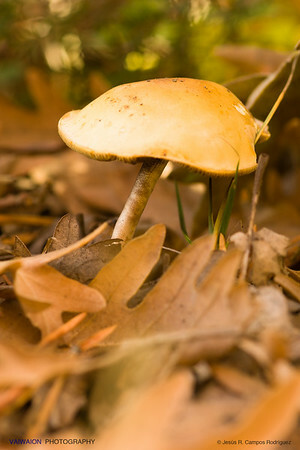 This photograph of a suillus was taken in an urban park in the city of Rivas-Vaciamadrid. 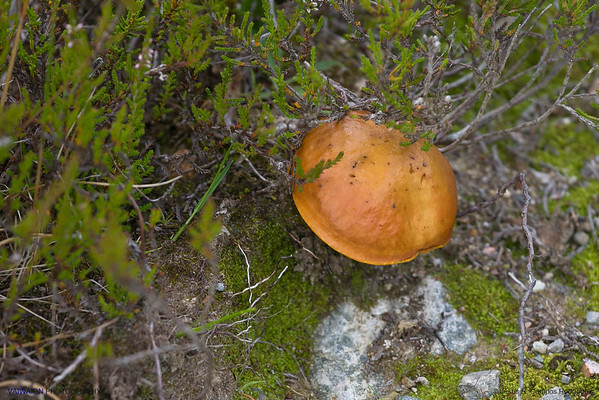 Do you know how this mushroom is commonly called in Spanish?. Fart of wolf. Some tiny mushrooms in Cuenca, Spain. The top one seems it want to eat the smaller, and the bottom mushroom look on, terrified. 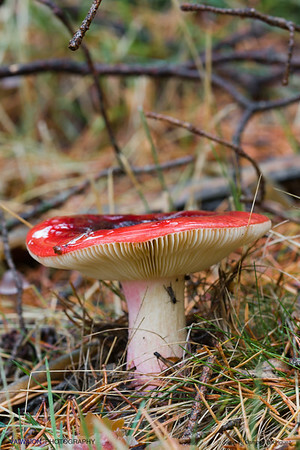 Amanita muscaria. 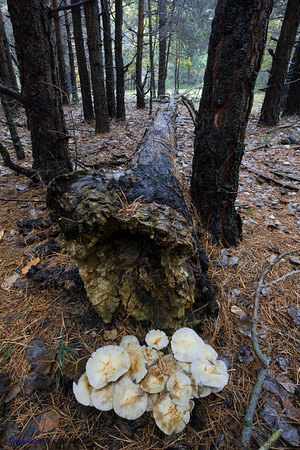 These mushrooms in a pine forest were probably feeding on the fallen tree stump. Guadarrama mountain range, Madrid. Spain. 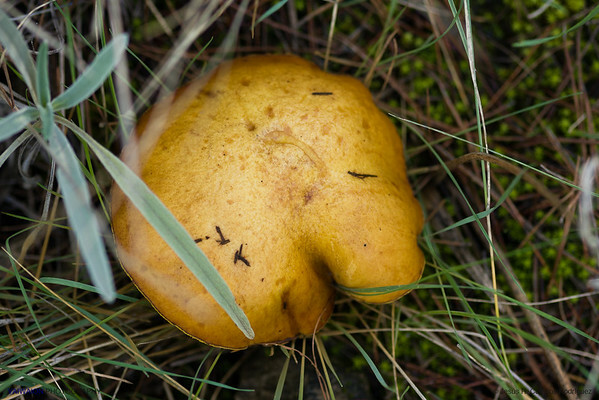 Suillus in Autumn. It was in the southernmost beech forest in Europe, "Hayedo de la Tejera Negra", in the province of Guadalajara, Spain. 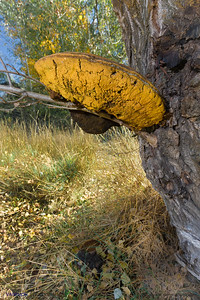 Big mushroom on a tree. Cubo de la Galga, La Palma island, Canary Islands. Spain. Mushroom, What mushroom ?. Finland.